Baseball has a long history in Arkansas. The game has been played in the state every spring and summer since it emerged in the 1860s. 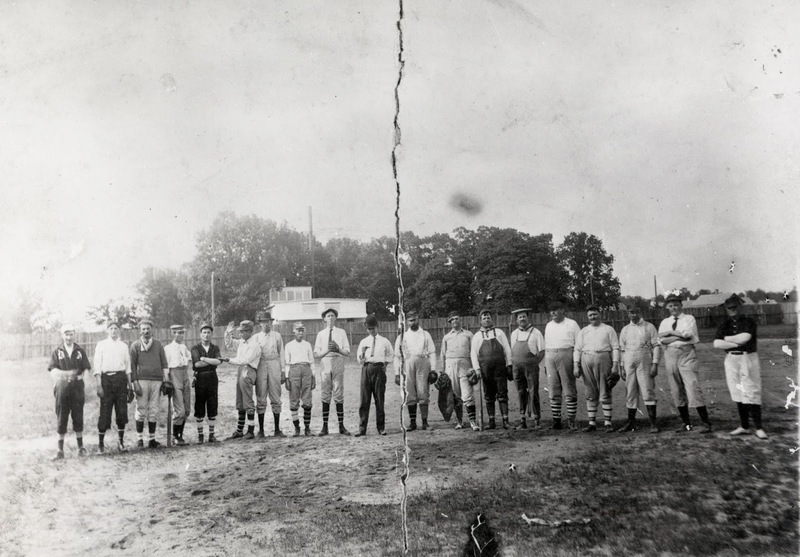 By the 1890s, most towns had a baseball club. A state league also was formed, and each year, the team with the best record was awarded the title of State Champion. During this time, newspapers perfected the art of sports “trash talk.” For example, the Van Buren Argus was particularly outspoken about the superiority of its own baseball team, the Browns. After a particularly severe word thrashing of the Brinkley baseball team at Van Buren, the Argus editor sarcastically apologized and said, “It was wrong for the home club to beat them so badly the first day after they had come so far.” There was good reason for the editor’s boasting, though. The Browns had run roughshod across the state, besting nearly every team it faced, except one – the Fort Smith Maroons. The Fort Smith Maroons, led by future St. Louis Browns pitcher Emerson Pink Hawley, stood in the way of Van Buren winning state dominance. The two teams had played each other 12 times over the previous year, resulting in six wins for each team. On July 22, 1892, the teams met in Fort Smith to settle which team deserved the championship. About 2,000 people packed the bleachers to watch the game. Some players worried about the crowd’s size because there clearly weren’t enough law enforcement officials to manage it. By the ninth inning, the Browns were leading 3-0. A batter for Van Buren stepped into the batter’s box and hit a pitch over the first base line close to foul territory. The umpire near the foul line ruled it a foul ball, but the umpire behind the catcher ruled it fair. Fort Smith’s pitcher came over to one of the umpires to plead that the ball was foul. The rest of Fort Smith’s team refused to resume play until the umpire reversed his ruling, so the umpire declared the game forfeited. Van Buren was the winner, the umpire ruled. But, the other umpire took Fort Smith’s side and declared Van Buren had forfeited the game. Fort Smith was the winner, he ruled. As the umpires argued, a fight broke out in the spectator stands. Soon, the fight spilled onto the baseball field and players joined in. Police finally regained order and arrested three spectators and a Van Buren pitcher, who had joined the fight. The game was over with no winner. For the next several weeks, controversy about who was State Champion lingered. To ease the tension, the teams began a weeks-long negotiation to organize a new series. Much of the difficulty in negotiating the terms of the contest, however, was exacerbated by the almost incessant sniping between the teams’ management through their respective newspapers. The secretary of the Maroons, Frank Parke, Jr., was the sports writer for the Fort Smith Times and devoted much of the paper’s sports coverage to attacking Van Buren. The Van Buren Argus reciprocated, and a war of words erupted between the newspapers. Meanwhile, the teams continued to search for a solution to the championship question. Fort Smith proposed to have a new three game series to decide the championship. Two games would be played in Fort Smith, and Van Buren would host the third. Despite the ongoing vitriol, the two teams eventually agreed to settle the row with a series of games in Pine Bluff on Aug. 8, 9 and 10. Each team won the first two games, leaving the third game to settle the rivalry. On Aug. 10, Fort Smith won and was declared State Champion. When the Maroons arrived at Fort Smith’s train depot at 11 p.m. that evening, a crowd greeted them as conquering heroes. Van Buren’s manager, W.T. England, was unhappy with the outcome and insisted there be another series in Little Rock, but Fort Smith declined. The controversy was over, and Fort Smith was the undisputed champion. For more information on the history of baseball in Arkansas, contact the Arkansas State Archives at 501-682-6900 or at state.archives@arkansas.gov.